The Last Temptation of Christ witnessed lines of moviegoers and waves of bookbuyers when it was released, largely because Christians threatened to boycott it. The Passion of the Christ made over $611 million dollars from the hands of the passionately faithful and the militantly opposed. Zealot, a book that depicted the historical Jesus as something less than the Messiah of God, raced to the bestsellers lists this year, though critics say it offered no new twist on the historical retelling of the life of Jesus. 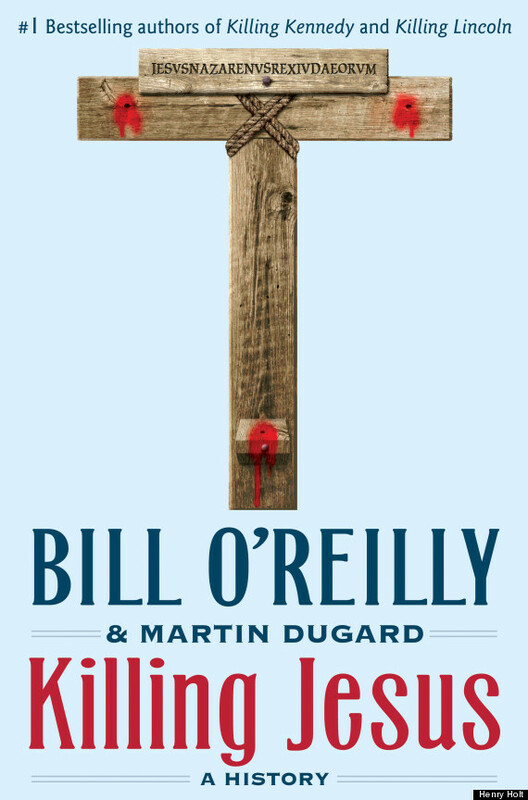 Bill O’Reilly’s new book, Killing Jesus, is not bound for that kind of glory, for one simple reason: it doesn’t say anything controversial. Released on September 24th, Killing Jesus, by O’Reilly and cohort Martin Dugard, hovered around #4 on the Amazon bestseller list in the days leading up to it. By the end of the first day, it was still at #3, standing behind the latest Stephen King and the fourth installment in a young adults science fiction series. Then on his evening Fox TV show he proclaimed that his book is creating controversy, and that some people think he’s “going to hell for writing it.” Who are these critics? A few unnamed letter writers. O’Reilly had a priest and a pastor on the show. He told them he was getting a lot of heat from evangelicals. The pastor told O’Reilly that evangelicals “ought to love this book.” O’Reilly replied that “the anti-Christian people” don’t want anyone to read this book. The priest told O’Reilly that people won’t like the book because it defends the Bible’s accuracy. O’Reilly assured the audience that the book is footnoted with the facts. The ordained yes-men assured him he was right. “I learned a lot,” said the priest. Finally made it to #2. But honestly, there’s no controversy here. The book alternates between a fairly straightforward retelling of the biblical story with only minor narrative expansion, and a fairly unsurprising retelling of the details of the Roman Empire. As to the latter, the authors hone in on that which is most violent and most sexually depraved, without any particular exploration of the psychology of the Caesars. The story runs from Herod’s slaughter of the innocents, through the assassination of Julius Caesar, through bloodthirsty stories of Roman military conquests to vile sexual exploits of the subsequent Caesars. None of this contributes meaningfully to the story of the life of Jesus. And apparently it’s not scary enough to top Stephen King. What the book does rightly is to show insistently that Jesus’ life and teachings are inextricably interwoven with the claim to his deity. This isn’t just a demythologized, historical Jesus narrative, despite the fact that the authors tend away from the miraculous (the disciples “claim” to have seen him walk on water). And there is an evangelical quality to the book for that reason. There may be some stragglers who don’t read the serious literature about Jesus but pick this one up from the airport newsstand and end up in some kind of serious exploration of faith. The Lord works in mysterious ways. If you just wanted some superficial historical details about the first century world, it’s a fairly painless way to get them. But the book’s popularity won’t come from a serious literary merit. Of course, the drawback is that the rising population of Millennials will no longer take the story of Jesus from the hands of Caucasian men in their 60s who talk more about their political agendas than their faith. The two Catholic authors previously partnered on bestsellers Killing Lincoln, which was criticized for factual inaccuracies, and Killing Kennedy, which the New York Times called “gerund-happy” while accusing the authors of “word mangling.” Both of them stayed on the bestsellers lists for months, the first one for more than a year. Killing Jesus will be a bestseller as well. The O’Reilly Factor has around 3 million viewers, and if history serves, he’ll spend the coming months promoting it on a daily basis. Plus, it’s just hard to get around the fact that Jesus is still a subject that everyone wants to hear about. But the book won’t be remembered for contributing anything new to conversations about Jesus, either historical or theological. Bill O’Reilly’s biggest problem is that he skipped the parts of the New Testament that discusses humility. Would never buy any of his previous books and thanks for giving me an even better reason not to buy this one. I like the last line of the review and see this as a good thing when we’re talking about Jesus. Seems O’Reilly is simply sharing the Gospel with millions and not adding or taking away anything. That is the admonition in the last verses of the Bible. I say good for him! Let’s pray many hear and believe. Update: O’Reilly claimed that God “directed” him to write the book, and now it’s at #1 on Amazon. In a Sixty Minutes interview, O’Reilly claims the Holy Spirit directed him to write the book. In the next moment, he admits his belief that the New Testament is wrong on some things, errors he corrects in his book. Not a great introduction of Jesus for those who casually pick the book up, even if it does promote discussion. Confussion will be the result. “I didn’t know that Jesus…–a la Dan Brown’s The Da Vinci Code–…married Mary Magdalene and fathered a baby by her.” I won’t waste my time or money on it. Your review is better than the book. I had no idea he wrote such a book. From your review it seem as if he wants to make money from controversy. That’s nothing new for him but there are some lines we just don’t cross. This just shows the sort of world we live in- people do not fear God. The Bible and Jesus is a joke.